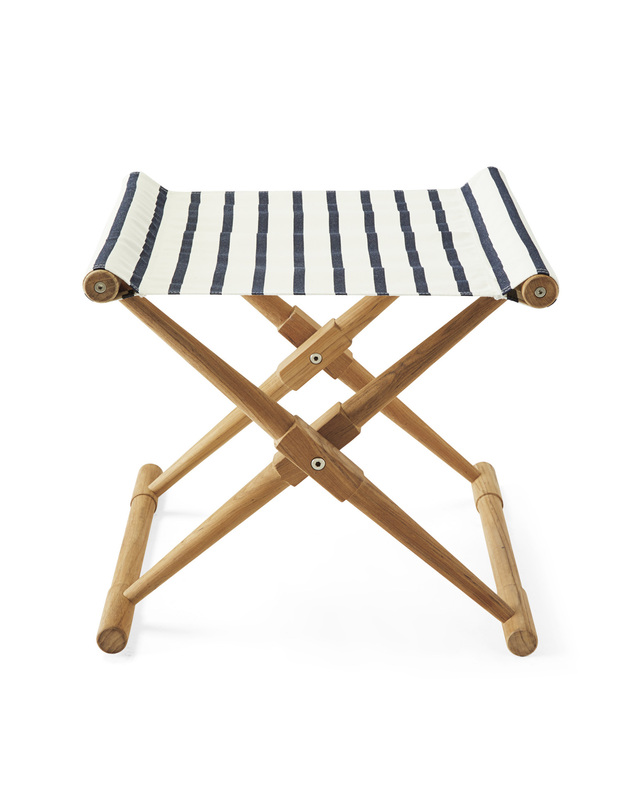 Teak Camp StoolTeak Camp Stool, alt="Teak Camp Stool, "
Print Teak has a warm and hardy nature that makes it perfect for outdoor spaces. 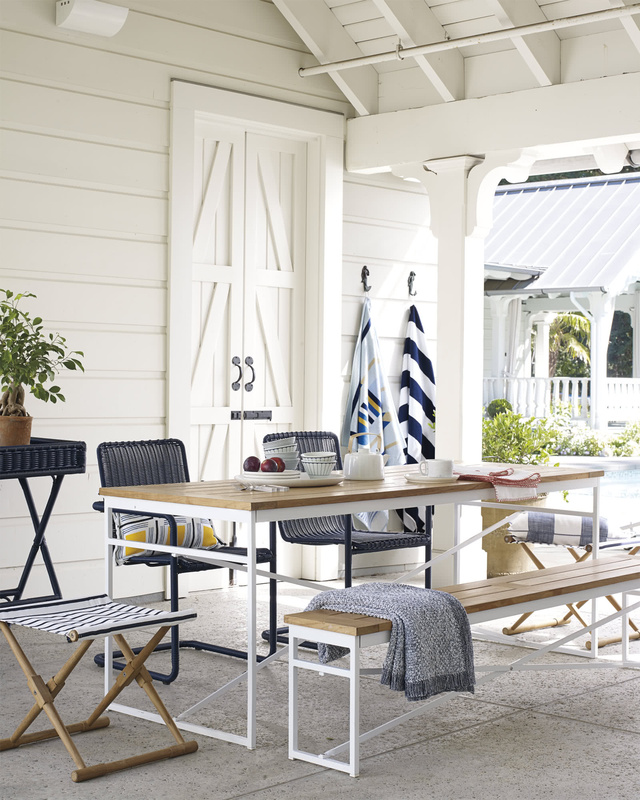 Add an assortment of stylish fabrics that just happen to be weather-friendly, and you’ve got an indoor/outdoor essential. 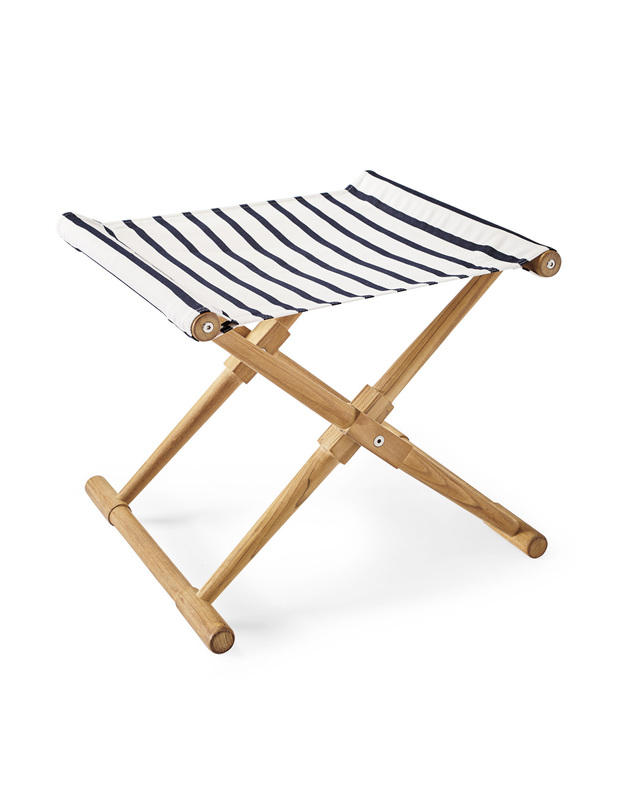 In fact, we’ve yet to find a spot that this stool doesn’t make more beautiful – try it by the tub, by the pool, or by the bed. Handcrafted of weather-resistant, unfinished Grade A teak. Seat available in a solid fabric or one of our signature patterns. 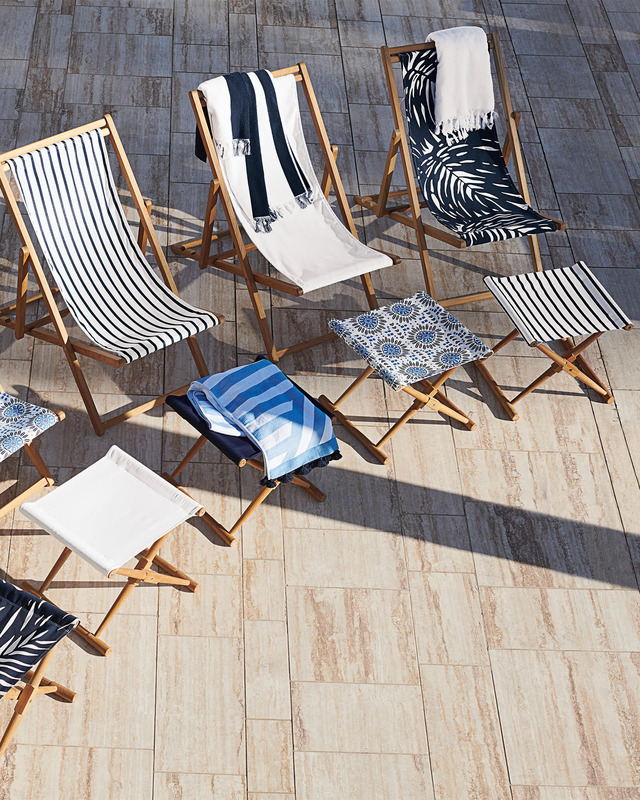 White, Navy, and Lido Stripe Navy Canvas are made of double-sided all-weather Sunbrella® fabric and resist staining, fading, mold and mildew. Store indoors when not in use, to preserve its beauty. 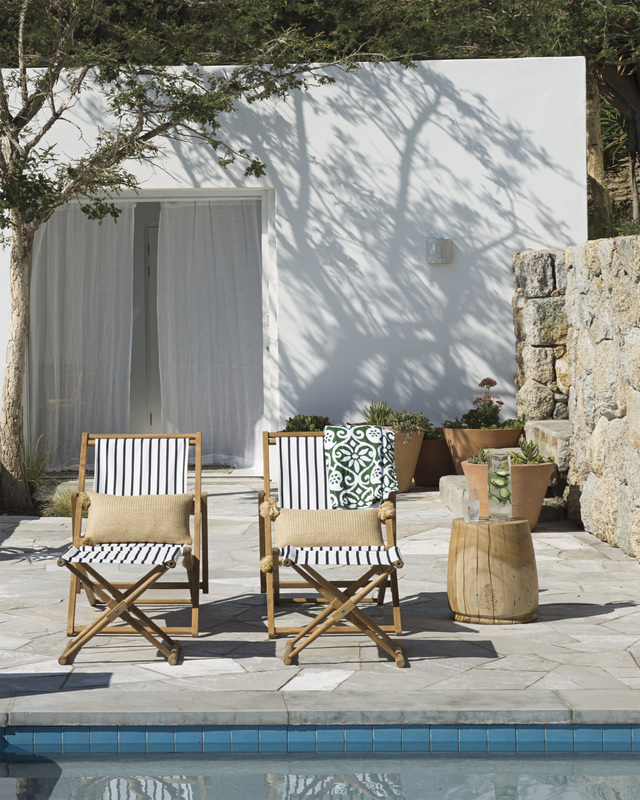 If left uncovered, teak will develop a silvery grey patina over time. 19"W x 18"D x 17"H overall. Extra fabric is available for purchase by calling Customer Care.